Making invisible visible: daily payouts, active users, new users, reblogs and follows count, top posts, top comments and others. This is a version 0.19 of my daily reports designed to be a comprehensive source of Steem metrics. The data and visualization in this post may contain errors and inaccuracies. Don't make important decisions without verifying data yourself. 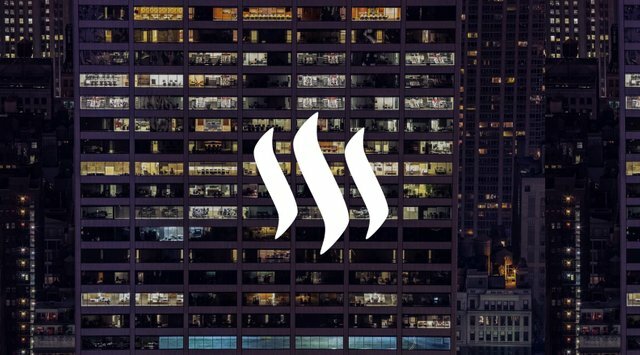 If you have any suggestions or found an error in the data, please get in touch with me on steemit.chat. Every chart starts on 1st of June and extends to yesterday. The number on the label attached to the Y axis on the right is the yesterday's value for that chart. Historical charts have STEEM/USD volume weighted daily price(Vwap) on the Y axis on the left of the chart. These charts provide data on long (since 2016/06/01) and medium (last 30 days) term active users (defined as those who has made at least one resteem, following, post or comment) and price. Max, min and avg baselines are provided for the 30d active users metric. Chart is based on number of new accounts grouped by the created date. Only accounts that posted, commented or voted at least once are included are counted towards the total. Max, min and avg baselines are provided for the 30d new users twmetric. A number of engaged accounts grouped by distinct activity. At least one action (vote, post or comment) is required. Follows per user: number of `follow` operations made by Steem accounts divided by the number of active users. Grouped by date. `Follow` operations made by top 1% users by count of daily follows are removed as outliers. Reblogs per user: number of `reblog` operations made by Steem accounts divided by the number of active users. Grouped by date. Reblogs made by top 1% users by count of daily reblogs are removed as outliers. Only posts with >= 2 votes and comments with >= 0 votes are counted. Payout data is a sum of pending and past payouts for posts created on the given date. This is a breakdown of post payouts per percentile. Only top 25% of post payouts are visible on the chart. I'm running a fairly useful curation bot, get in touch if you want to maximize curation rewards. You're welcome to translate and publish this report in other languages on Steem and keep all rewards. You're also welcome to use the charts and data for your own analysis. Drop me a comment and I'll add a link to your post. This post has been ranked within the top 25 most undervalued posts in the second half of Nov 15. We estimate that this post is undervalued by $12.00 as compared to a scenario in which every voter had an equal say. See the full rankings and details in The Daily Tribune: Nov 15 - Part II. You can also read about some of our methodology, data analysis and technical details in our initial post.